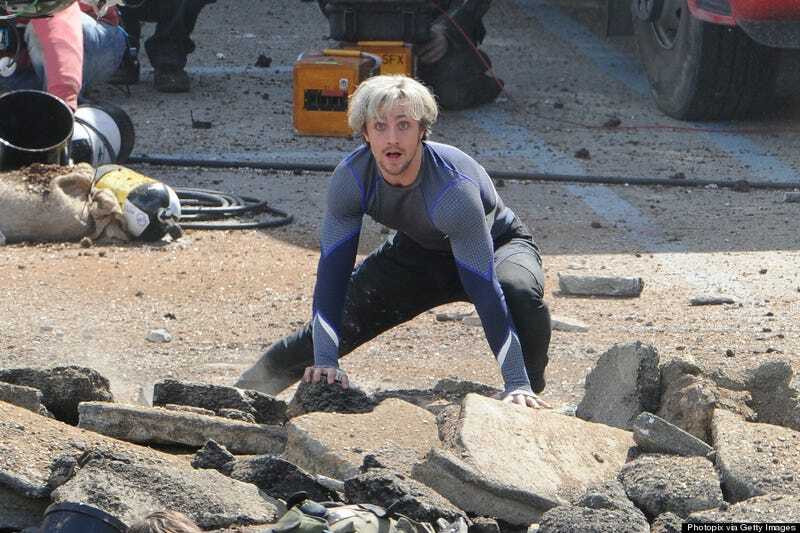 A group of set pics from Avengers 2: Age of Ultron have revealed what the mutant siblings Quicksilver and Scarlet Witch will look like! 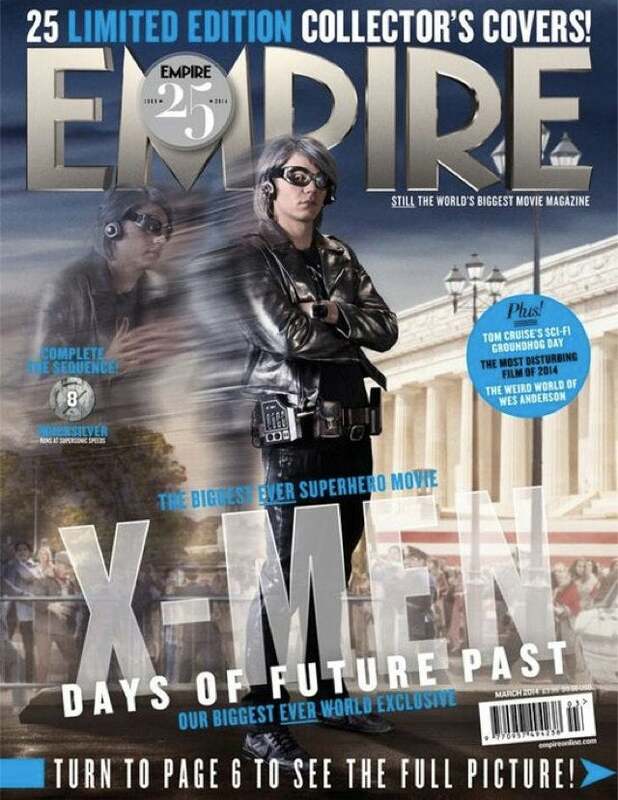 As we'd hoped, the Marvel movie universe's Quicksilver looks less ridiculous than his counterpart in Fox's X-Men: Days of Future Past. Barely. Image by Photopix/Getty Images, via Huffington Post. I think it's Aaron Taylor-Johnson's dark stubble that's the main problem here. Not just because I don't recall Quicksilver ever not being clean-shaven in the comics, but because the dark stubble makes the white hair look ridiculous (or, more precisely, even more ridiculous). The weird bike/workout outfit suit a little goofy, but I wonder if I'd have minded it if I weren't already disturbed by the stubble. Anyways, Elizabeth Olson as the Scarlet Witch looks better, if kind of plain. I think the outfit works, though. But hey, Wanda is stubble free, so I'm not going to complain. If you check out the concept art that showed up during the Marvel: Assembling a Universe special last week, you see what we got is pretty close to what they envisioned. It'll be interesting to see what the real things look like in the finished product. Tons more photos at the link below.